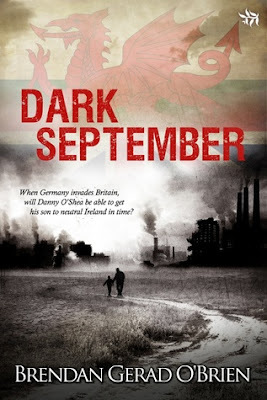 In an alternative history where German invades Britain, Dark September by author Brendan Gerad O'Brien, tells the tale of a father as he tries to protect his son during world war two. Brendan's début novel reveals him to be fully conversant with all aspects of war as its the authentic tone that had me hooked. A highly entertaining read, full of tension and well drawn characters, as the reader will experience what the characters feel through their love, their loss and their fear. One final note - its very violent in parts, but I suppose that's war!